I have not been feeling a lot of details lately so I went simple for the last few days. 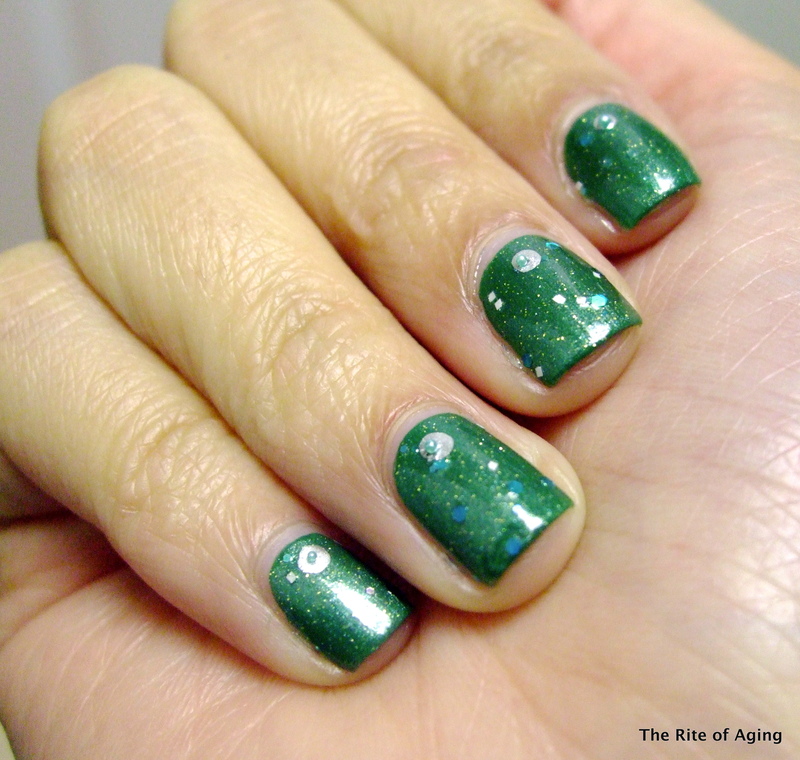 Two coats Sephora by OPI I Come in Peas. Two sheer coats Serum No 5 Forest Lights. I dotted with Essie No Place Like Chrome and added a little blue bead in the middle.